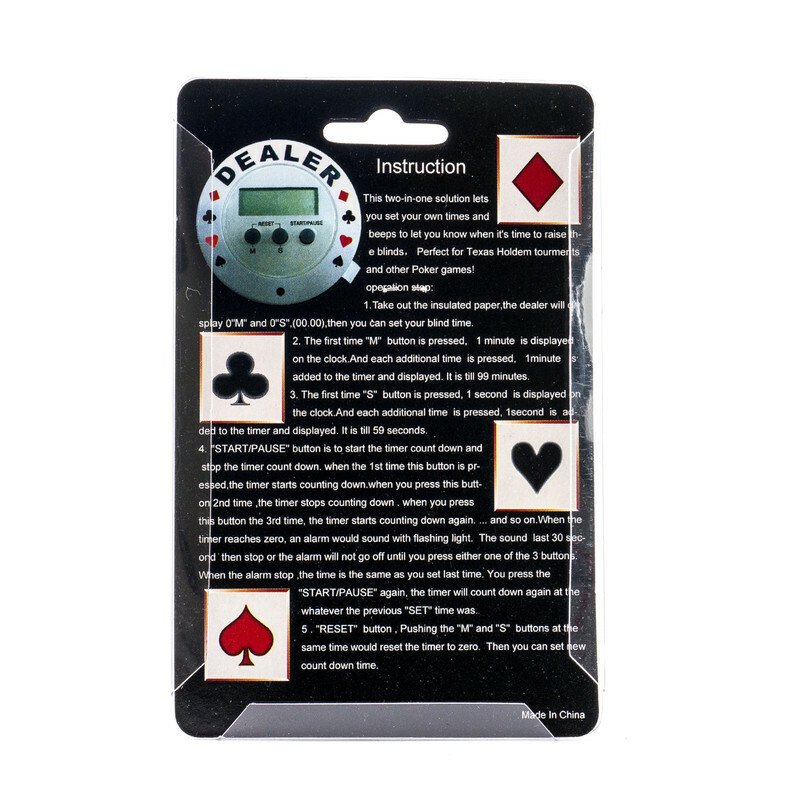 This Texas Hold'em Poker Tournament Timer and Dealer Button with built-in tournament blind timer will keep your game on track and is the perfect accessory for every poker tournament enthusiast. Having the blind timer on the table allows all the players to know how much time is left in the round. It combines the two essential elements of tournament play: It can be passed as a dealer button, and simultaneously, keeps the blind times at your fingertips. 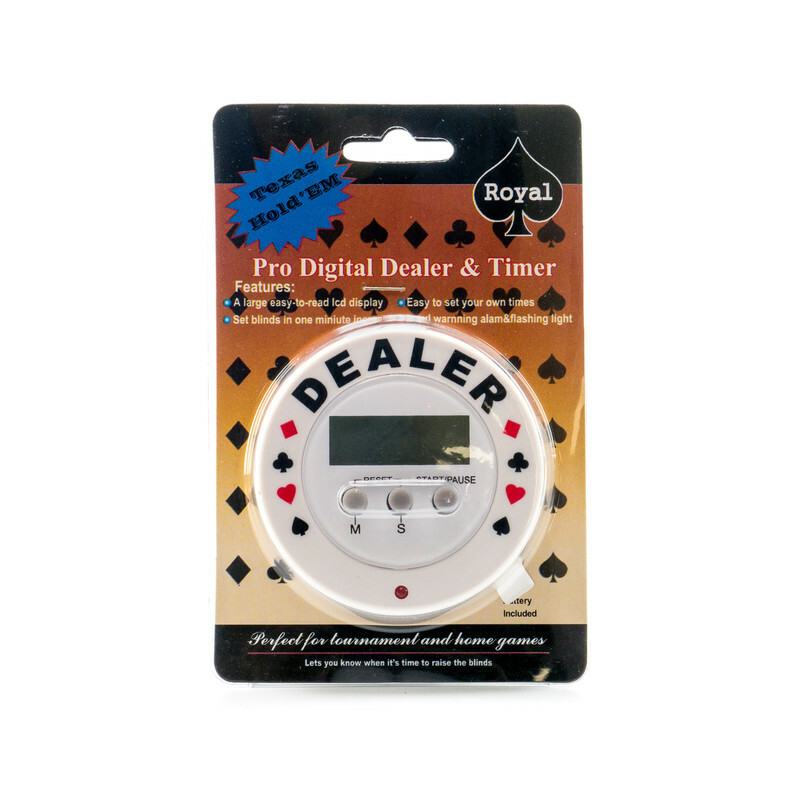 The Digital Dealer Button replaces awkward timing devices such as kitchen, stove top and microwave timers. And no more computer-driven software timers! See item 50-0079a for additional spare batteries.